Mark has been acting professionally in the SF Bay Area for more than 20 years. His work includes roles with American Conservatory Theatre, Berkeley Repertory Theatre, ACT Theatre of Seattle, San Jose Repertory Theatre, TheatreWorks, The Magic Theatre (including the US Premiere of Stones in his Pockets), Aurora Theatre, The SF Playhouse, Marin Theatre Company, California Shakespeare Theatre, San Francisco Shakespeare Festival, Center REPertory Theatre, Arizona Theatre Company, Word for Word, and California Theatre Center. Mark has appeared at the Edinburgh Fringe Festival (Joan Rivers - a work in progress by a life in progress) and the New York International Fringe Festival (Abraham Lincoln’s Big Gay Dance Party, which won Best of Fringe). He is the recipient of three Bay Area Drama Critics’ Circle awards for best performance by a male in a leading role. On television, he has appeared in Nash Bridges on CBS. Film work includes This is Macbeth and This is Hamlet with Reinventing the Wheel Productions, Something Better with Blu Fly Productions, and Joan Rivers - A Piece of Work with Break Thru Films. Todd is a film, stage, and voice-over actor in San Francisco. He is also a veteran performer with S.F. sketch comedy troupe Killing My Lobster. His most recent film credits include a leading role in Where's My Stuff, directed by Sam Burbank, The Village Barbershop with John Ratzenberger, and Real Men Go Hunting, a Pixar University short film directed by Ryan Lynch. Todd's circuitous route to acting began with a B.S. in Mechanical Engineering at Northwestern University, followed by a decade-long career in advertising, eventually landing under the spotlight. Todd is honored to perform in a series as purposeful as Flummox & Friends. Rebecca Poretsky is a performer, writer, teacher, and improviser. She has been improvising for over 10 years, starting out as a SIKO (Smith Improv Komedy Organization of Smith) at Smith College, from where she graduated with a degree in Government and International Relations. In the Bay Area, she has played and directed with improv groups Big City Improv, Crisis Hopkins, and The Un-Scripted Theater Company and performed live and video sketch comedy with Crisis Hopkins and the Kasper Hauser Comedy Group. Currently, you can regularly see her on stage with BATS Improv’s Mainstage Company in Fort Mason, SF. Rebecca has also performed with BRAVA for Women in the Arts in SF and the Bread and Puppet Theater in Vermont and in NY, NY. Recently she wrote and performed a solo piece, I Left My Heart in Brooklyn, where she played too many characters to count. Rebecca is an award-winning cat writer (not a joke), a former Brooklyn champion of the New York City public school storytelling contest (also not a joke), and a recovering almost-law student (most certainly not a joke.) Rebecca lives in San Francisco with her spotty dog Pebbles, and spends too much time listening to podcasts. 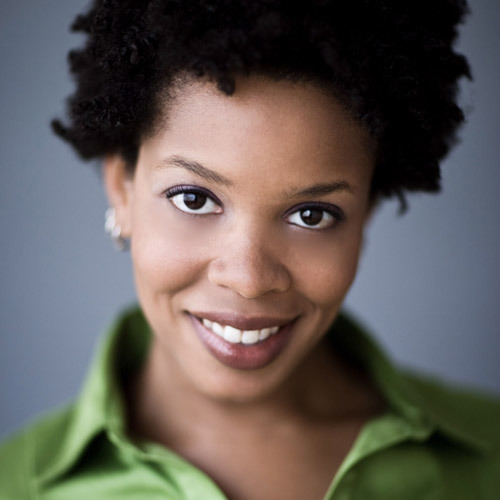 A graduate of the American Academy of Dramatic Arts in Los Angeles, Khamara has performed with various theatre organizations in the Bay Area including the Brava Theater, The African-American Shakespeare Company, Marin Shakespeare Company, Crowded Fire Theater Company, Boxcar Theater, and The Dark Room. Khamara is a writer and teaching artist who was recently named a Harris Fellow by the Children’s Theatre Foundation of America – an award that has provided her with funds to write and produce a theatrical version of Grimm’s Fairytales. Khamara is one of the co-hosts and voice actors of the radio-show-style podcast, 915 Cayuga, and serves as the show’s head writer. Ben has been working as a professional actor, improviser, clown, juggler, and teacher since 1997. Recently, he was cast as Bill Irwin’s understudy in the title role of Scapin at the American Conservatory Theater. He has also appeared as a featured clown in Cirque du Soleil’s Alegria, as Merrick in the Gamm Theatre’s critically acclaimed production of The Elephant Man, and he performs regularly as a main stage company member at BATS Improv in San Francisco, CA. From 2004 to 2007 Ben worked with the Big Apple Circus’s Clown Care Unit in three of New England’s premier pediatric hospitals. During that time he logged over 1,500 hours of humor therapy work, and he served as Site Coordinator at Hasbro Children’s Hospital. He currently performs at hospitals throughout the San Francisco Bay Area for families, staff, and patients of all ages with the Medical Clown Project. Ben holds a Master’s degree in teaching from Brown University and has taught for the Berkeley Rep School of Theatre, BATS Improv, Cal Shakes, Pixar University, Theatreworks, Mills College, the Berkeley Playhouse, the East Bay Center for Performing Arts, the ArtsLiteracy Project at Brown University and at public and private schools in Rhode Island, Massachusetts and California. Newer:The story behind Flummox and FriendsOlder:Tune in. Connect. Have fun!